ROAD SAFETY CAMPAIGNERS have called for increased penalty points for drivers caught using their mobile phones. Road Safety Authority chief Moyagh Murdock told the Irish Daily Mail that increased penalty points have resulted in changes in behaviour. Currently, the penalty is three points and a €60 fine, or five points on conviction in court and a fine of up to €2,000. We want to know what you think: Should the number of penalty points for driving while using a phone be increased? 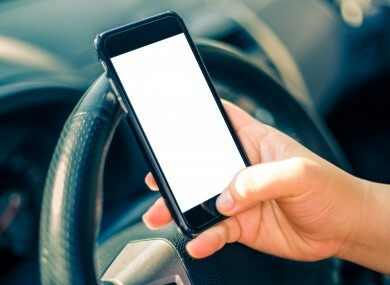 Email “Poll: Should penalty points be increased for using a phone while driving?”. Feedback on “Poll: Should penalty points be increased for using a phone while driving?”.